Signing in the Free French Forces - La flamme de la résistance ne doit pas s'éteindre et ne s'éteindra pas! 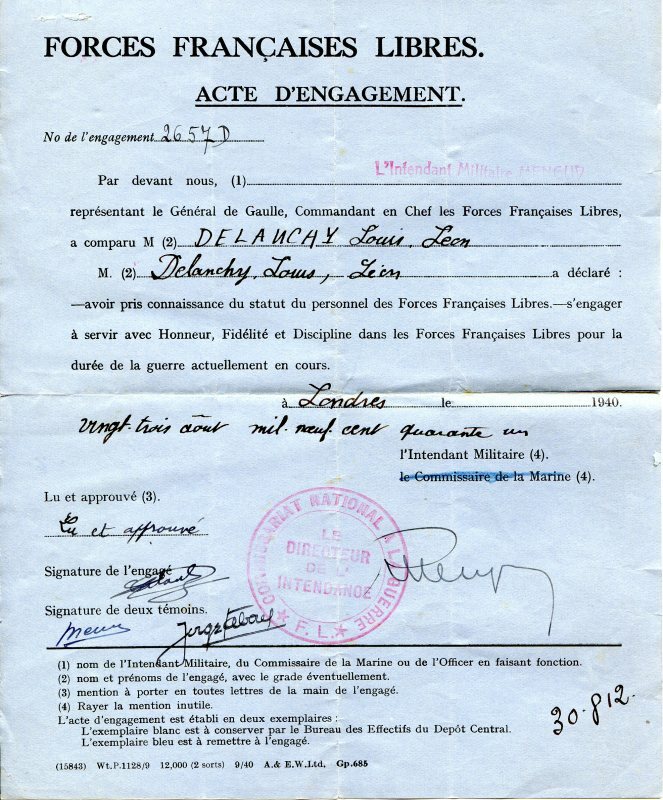 The commitment with the Free French Forces. 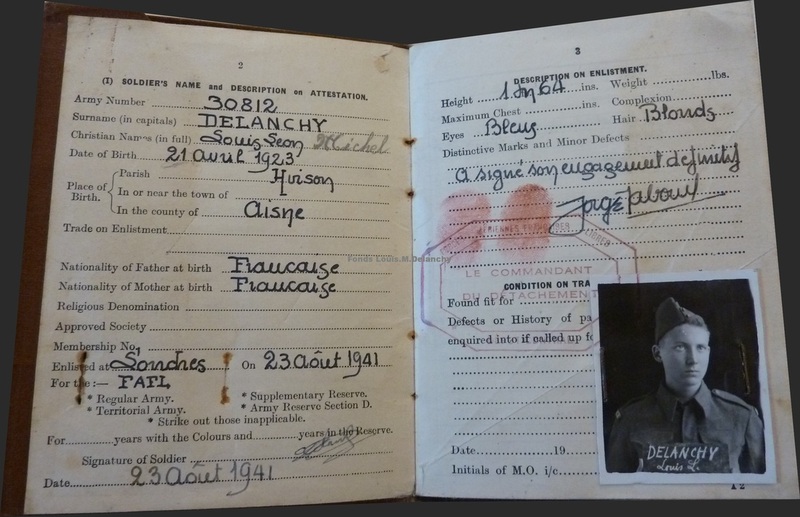 After a passage compulsory at Patriotic School where the truthfulness of the stories was verified, the commitment in Free French Forces became possible. 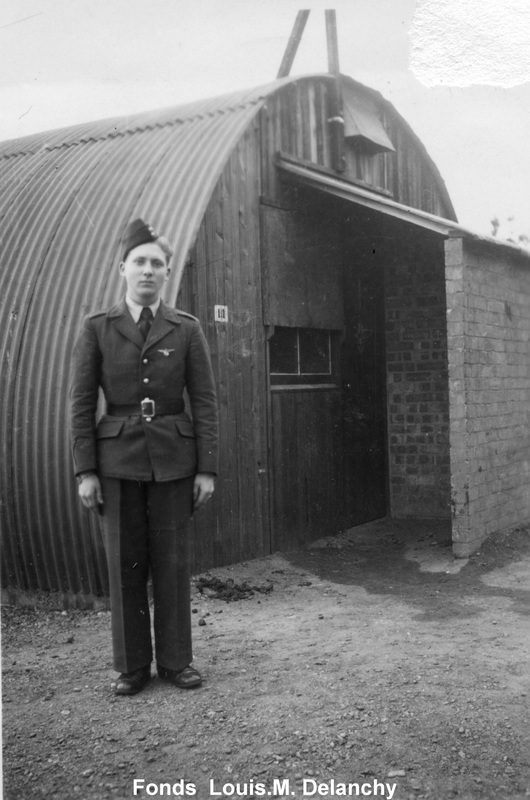 Louis.M.Delanchy in front of a Nissen hut.